The next launch opportunity at Cape Canaveral, Florida opens Friday, with a slightly more than two-hour window starting at opening at 4:14 pm (2014 GMT) and ending at 6:21 pm. "The vehicle and payload are in good health," said a SpaceX spokesman. The company later tweeted: "Standing down today due to a standard ground system auto abort at T-1 min." "Teams are working towards tomorrow's backup launch opportunity," it added. Eventually, the rocket is slated to launch humans to the International Space Station, aboard SpaceX's Dragon crew capsule, still under development. When that happens, it will mark the first time since the end of the US space shuttle program in 2011 that a rocket has launched from the United States carrying people to space. The Falcon 9 Block 5 rocket is built to re-fly up to 10 times with minimal refurbishment, SpaceX CEO Elon Musk told reporters ahead of the launch. The Block 5 rocket is the final upgrade for SpaceX's Falcon 9 fleet. Next, the company plans to focus on its heavy-lift rocket, called BFR. Rather, Should Carry/Take back some ESSENTIAL, EMERGENCY Cargo to the other side of the Planet For Ex: to China or Japan FOR A FEE ! 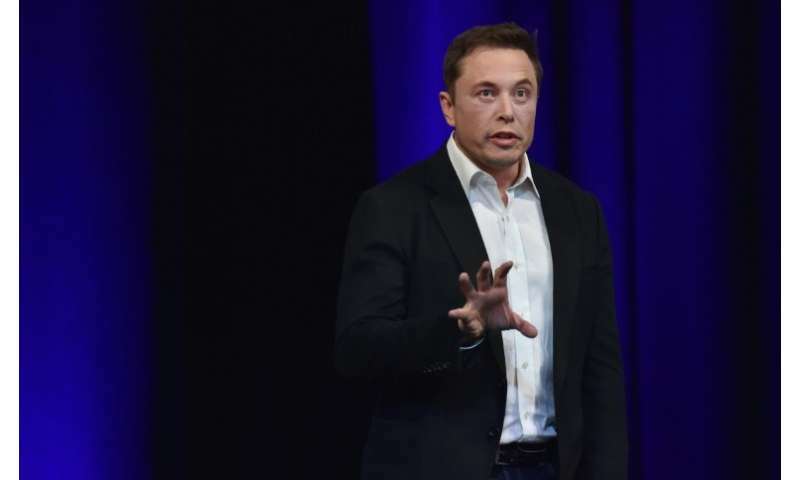 physorg headline: "spacex and FedEx team up to deploy falcon deliveries worldwide"
It was there on Friday, no?